Thoughts and perspectives on the ever-changing business and cultural landscape. HomeChipping away at the opposition, a Wisconsin company plans to implant its employees with microchips. Chipping away at the opposition, a Wisconsin company plans to implant its employees with microchips. I’ve blogged before about how micro-chipping has been morphing from appliances and pets to people. But not without opposition. 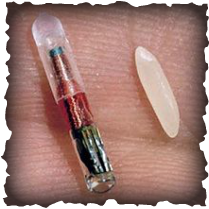 Earlier this year, it was reported that lawmakers the state of Nevada had introduced legislation that would make it a felony to require a person to be implanted with microchips such as an RFID (radio frequency identification) or NFC (near field communication) devices. Nevada isn’t the only state legislature to take up the issue, as similar legislation has already been passed in North Dakota, Oklahoma, Virginia, Wisconsin and – how come we are not surprised? – California. But now comes word that at least one company is quite publicly thumbing its nose at the state of Wisconsin by offering implanted chip technology to all of its employees. Beginning in August, River Falls-based Three Square Market (32M) will be implanting all willing employees with an RFID chip. Reportedly, this will allow these employees to purchase items in the company’s break room, as well as to log on to computers, open locked doors on the company premises, and to use copy machines. As many as 50 employees of 32M are expected to participate in the scheme, in what is claimed to be the first employee micro-chipping program implemented in the United States. As it turns out, there’s a little more than just altruism behind 32M’s program. The company operates in a market segment that’s naturally aligned with chip technology. 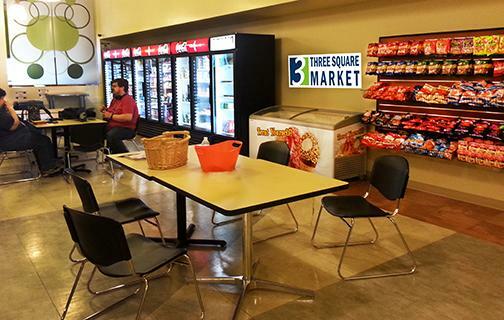 More specifically, 32M is a key player in the so-called “micro market” – also known as the break room market — wherein mini-convenience store kiosks that are installed in employee break rooms feature self-checkout functionality. 32M sells micro market technology, while operating more than 2,000 kiosks in 20 countries around the world. According to Tony Danna, 32M’s vice president of sales, one of the reasons for embarking on the microchip implantations is his company’s desire to have first-hand experience working with the technology, which it offers in addition to more conventional RFID payment solutions such as rings and wrist bands. In other words, it isn’t a “forced march.” And while 32M is at it, the company is getting more than its share of publicity out of the gambit. Of course, credit card information can be stored on the chip — and likely a whole lot more. Despite any reservations that recalcitrant employees – or state legislators in Wisconsin – might have, 32M is moving ahead and planning for a “chip party” at the company’s headquarters in early August. No word if any other kinds of chips – such as of the corn or potato variety – plan to be served up as well during the event. ← What’s up with personal assistant apps? Notre-Dame Cathedral, an iconic structure built for the ages, survives. What are the most stressful jobs in America? What are the short- and long-term implications of self-driving automobiles? "I'm just so busy!" becomes the new social status signal. Meet the American cities that are the safest from natural disasters. Blockchain Technology: Hype … or Hope? Which are the 10 Scariest Airports in America?